Everybody loves Spider-Man, and his appearance in Captain America: Civil War is a pretty big deal for his fans. His debut in the MCU and portrayal from actor Tom Holland have been praised by most critics and those who have seen the film. With so many other non-Spider-Man characters in the film, lots of fans have wondered exactly how much screen time the Wall Crawler actually has. We’ve heard rumors about the exact amount of time he’s onscreen but now we also have an answer to how many lines he says. The answer is 47, and as it turns out that’s more than Superman had to say in Batman V Superman: Dawn of Justice. The nerds have counted and Spider-Man had more lines of dialogue in Civil War than Superman did in Batman v Superman. ???? 47 to 43. This information comes from the Twitter account of abbiewastaken, who reports that people have counted and Spider-Man has 47 lines of dialogue to Superman’s 43. Seeing as how Captain America: Civil War hasn’t officially released yet, we have to assume that the people doing the counting are close to the film or had some kind of special access. It might be best to take this with a grain of salt until everyone has the opportunity to test this out for themselves. On the other hand, we’ve also previously reported that Superman only has 43 lines of dialogue in a movie with a 151 minute run time. 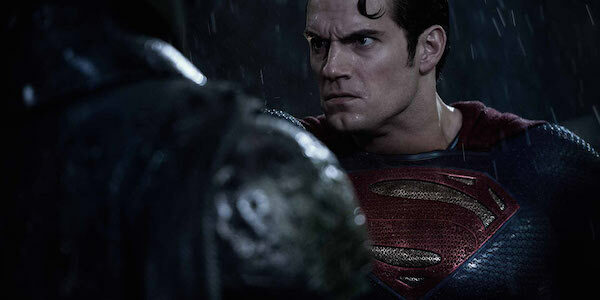 So, if it’s true then it’s pretty embarrassing for Superman/Henry Cavill, who was the co-lead in the film. Compare this to Spider-Man, who is said to have just a small amount of screen time in a movie that doesn’t have his name in the title. It’s true that Dawn of Justice feels more like a Batman movie than a Superman one, and I’m curious to find out how many lines Batman had in the film; it was more than Superman, probably. Superman having so few lines doesn’t have the same excuse as Spider-Man, who is not the main character in Civil War. Superman isn’t quite as chatty as Spider-Man but, in a movie with such a long run time, he can afford to do more than brood and have bath time fun with Lois Lane. Dawn of Justice was originally a much longer film (at least 3 hours) so there might be huge chunks of Superman dialogue sitting on the cutting room floor. If Warner Bros. goes through with the extended theatrical cut release of the film, then it’ll be interesting to see how many lines Superman originally had. Superman only lost to Spider-man by four short lines, so here are a few more things he could have said to put him over the top: I really hate you, Batman; I don’t trust Lex Luthor; pass the salt please; Let’s make Wonder Woman throw the spear. What are the lines you wish Superman had said? Let us know in the comments section, because he needs all the help he can get.